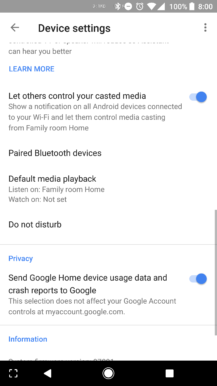 Ever since the Google Home was first released last year, you could use voice commands to start media playback on a Chromecast-enabled TV or speaker. For example, you could use commands like "Play The Office on the living room TV" or "play music from Coldplay on the kitchen speaker." 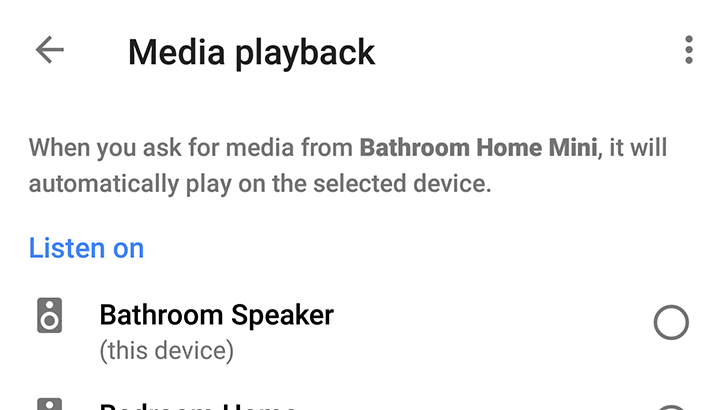 Now Google is making that slightly easier, with the ability to pick a preferred device for media playback. 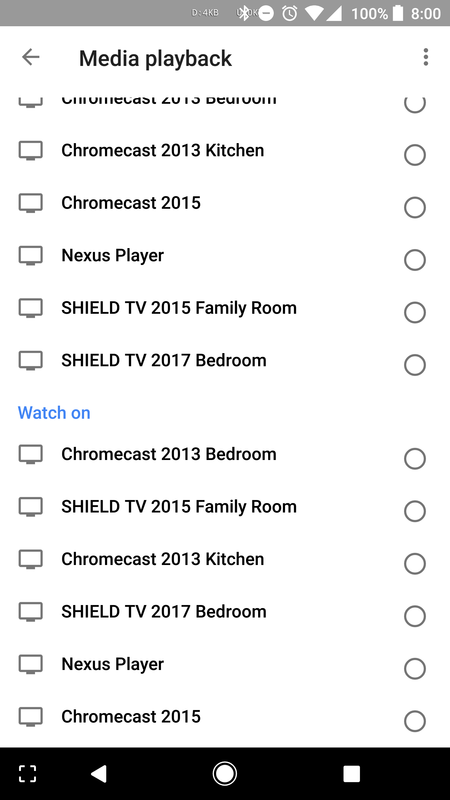 We first spotted this in a teardown back in July, but it looks like the feature is just now going live. 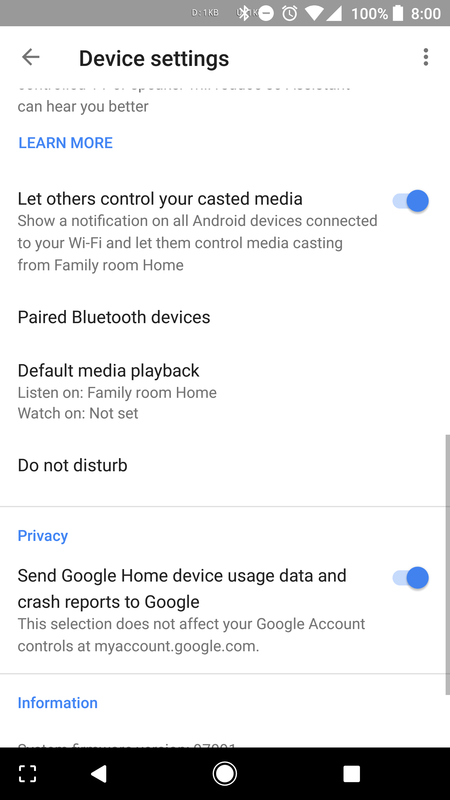 Once you open the device settings for a Google Home (from the Home app), a new menu option called 'Default media playback' is available. 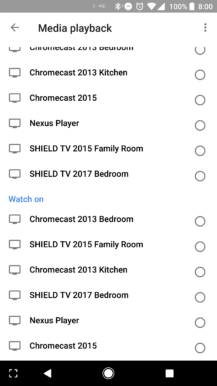 Here you can pick the default device for both audio and video playback (you can set different options for each, if you want). 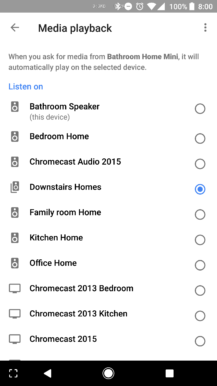 Then you just say something like "Play The Office," and Google knows what device you're talking about. 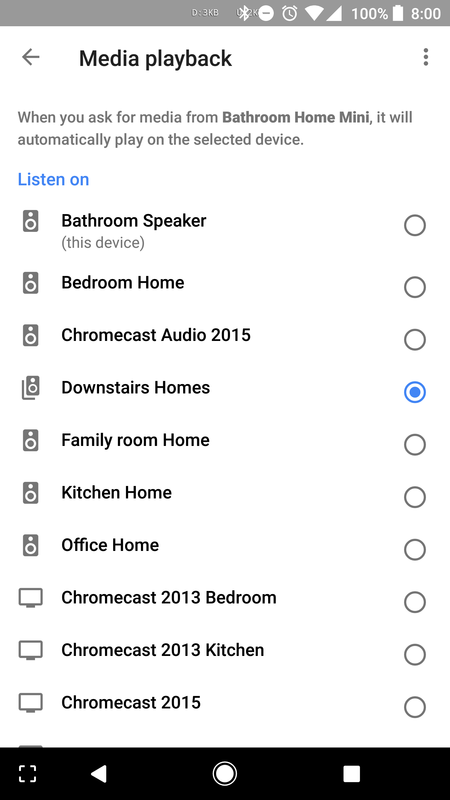 You can even pick a group as a single default device, to make multi-room audio playback easier. You can find more details at the source link below.